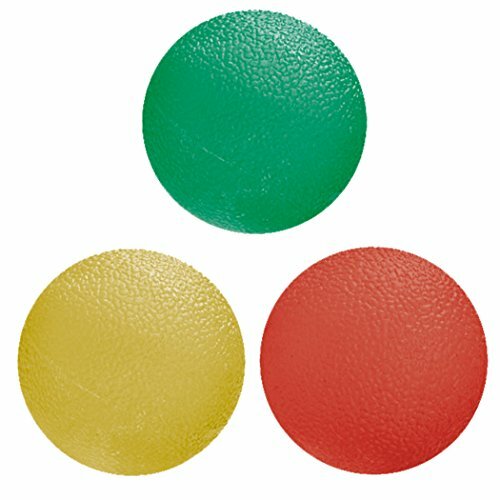 Three Medical Grade Rubber Balls Of Increasing Resistance (Soft, Medium, Firm) — Unique Textured Surface! 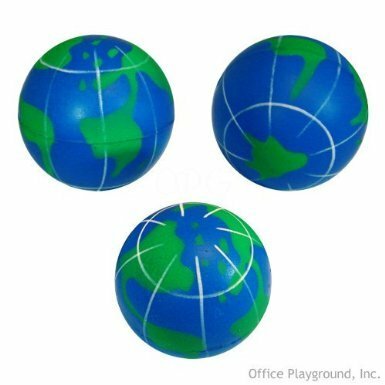 Everyday use of your phone, tablet and computer can be a source of pain in your fingers, wrists, forearms – even neck. 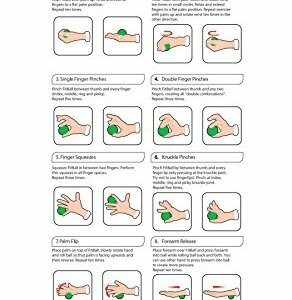 Hours of improper positioning of your hand and wrist can also aggravate conditions like carpal tunnel syndrome and tendinitis which are linked to overuse and repetitive motions of your hands or fingers. FitBalls provide an easy and convenient solution to these ever increasing problems. The three color-coded fitness and therapy balls of increasing resistance will strengthen and restore flexibility to your fingers, hands and forearms. 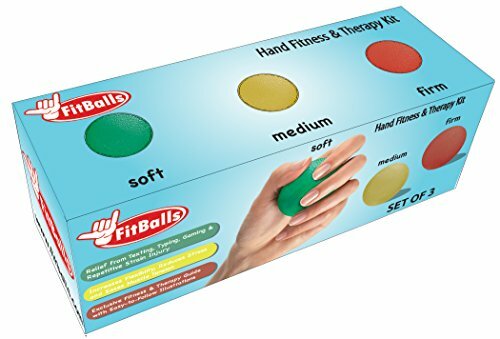 The Easy-To-Follow Fitness & Therapy Guide includes specific exercises that target these areas and provide fast relief. 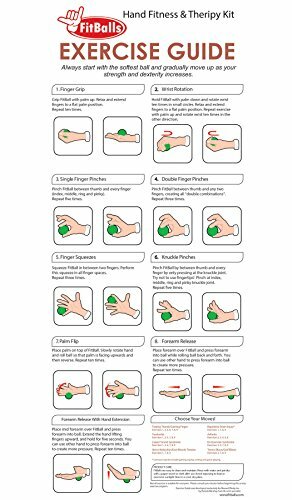 The guide also includes exercises to relieve hand and wrist pain associated with guitar playing and writing. 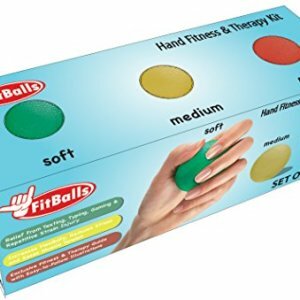 Exclusive FitBalls Hand & Wrist Fitness & Therapy Guide With Easy-To-Follow Directions & Illustrations ~ Easy & Fun To Use Anywhere, Anytime! ✔100% SATISFACTION GUARANTEE: If For Any Reason You’re Not Completely Satisfied With Your Purchase, Just Let Us Know & We’ll Gladly Refund Or Replace It! 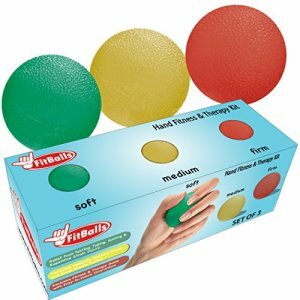 This item: FitBalls: Hand Strengthener & Hand Exerciser. 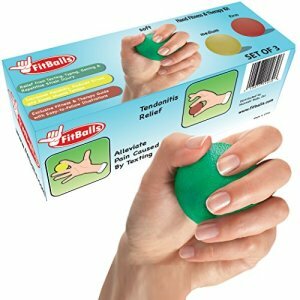 Relief From Texting, Typing & Repetitive Strain Injury. 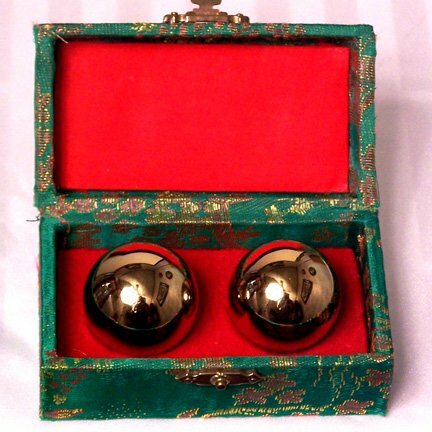 Wrist Exerciser & Strengthener. 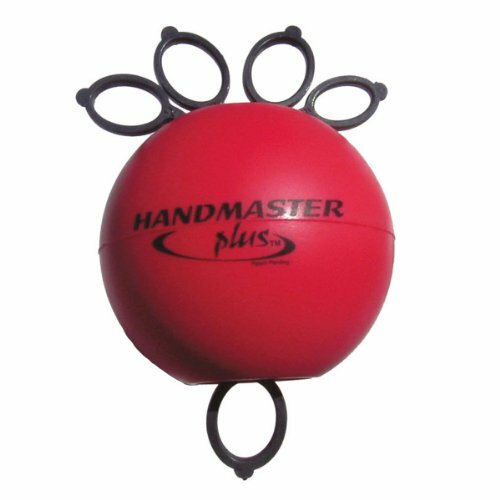 Alleviates & Prevents Carpal Tunnel & Tendonitis ~ Includes Exclusive FitBalls Hand Therapy & Fitness Guide.